A Flash Of Lightning Seems To Split An American Flag Into Two Parts. Banque D'Images Et Photos Libres De Droits. Image 106196498. 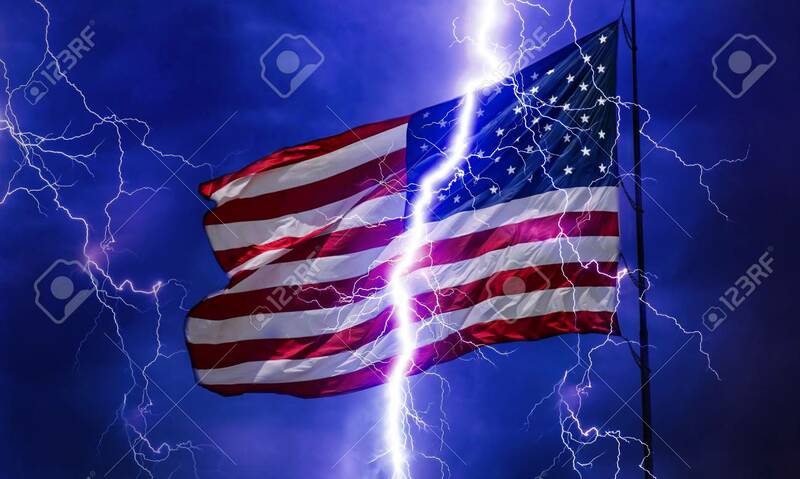 Banque d'images - A flash of lightning seems to split an American flag into two parts. A flash of lightning seems to split an American flag into two parts.